The first noticeable changes in appearance affect women over thirty years old. We can see that our skin is not as firm as before, our cheeks fall, shape of the face is changing. How big the changes are is mainly determined by genetics and lifestyle. With the loss of skin firmness, adipose tissue starts to move. The consequence of this is, inter alia, loss of the face oval and drooping cheeks. This leads to the reversal – so-called “triangle of youth” and the formation of skin irregularities – so-called “hamsters.” Is the process of sagging skin and the related changes in the facial features irreversible? 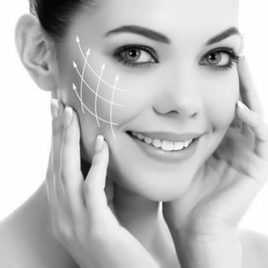 Unfortunately, the time cannot be stopped, but thanks to modern advances in aesthetic medicine we can rejuvenate our face, and we can enjoy the difference in the appearance after the first treatment. Effective and lasting treatment that rejuvenates and rebuilds the skin. 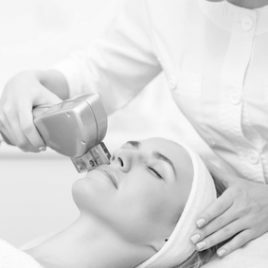 Immediate lifting effect is the result of the use of the laser in the deep layers of the skin. Radiesse is a precise treatment of aesthetic medicine, which effect is visible lifting and durable skin rejuvenation.